Explore a vibrant world on this classic Sri Lanka wildlife and cultural holiday. 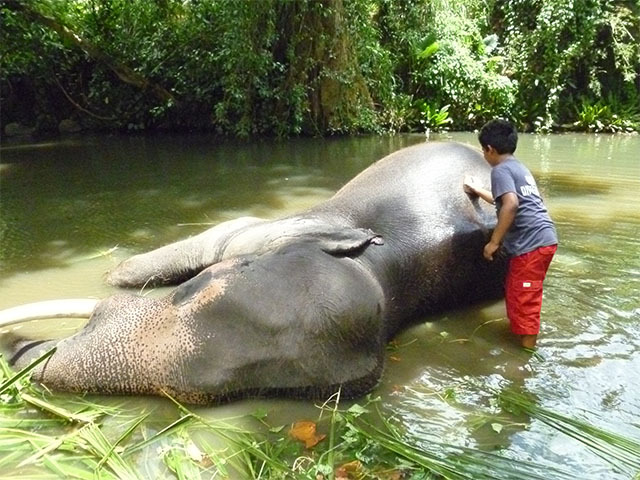 Visit Pinnawela Elephant Orphanage and explore the mighty Sigiriya Rock Fortress. Go on a city tour of Anuradhapura, home to the ‘Tree of Enlightenment’, and spot leopards on safari at Wilpattu National Park. 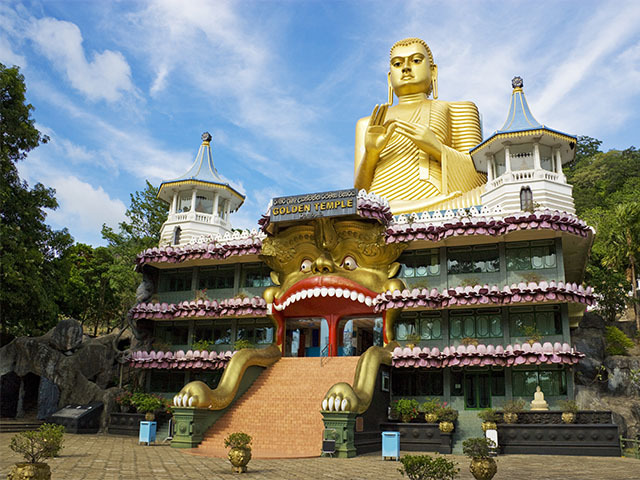 Your Sri Lanka holiday begins on arrival at Colombo Airport, as you are transferred to Dambulla (4 hours approx). You will be stopping at Pinnawela Elephant Orphanage enroute. The orphanage is spread over 24 acres and it also serves as a breeding center. It was established in 1975 by the Sri Lanka Wildlife department. The elephants go twice a day to drink and bathe in the river; this is a fascinating spectacle to see. After this stop, continue on to Dambulla and check in to Kassapa Lions Rock Resort. Ideally located facing Sigiriya Rock, the Resort comprises 31 well appointed spacious chalets with beautiful open-air bathrooms. The open-air restaurant serves a variety of dishes of both eastern and western cuisine. The bar will serve you a wide range of cocktails and spirits from all over the world. The Resort also has a swimming pool facing Sigiriya Rock. Start the day with an optional hot air balloon ride (cost not included in tour price), the best way to get the perfect view over one of Sri Lanka’s most iconic heritage sites, Lion’s Rock at Sigiriya. You will be getting a first hand experience on the mechanisms and operation of the balloon and will be assisting with the filling of the balloon. After breakfast, proceed to Sigiriya Rock Fortress - a large stone and ancient rock fortress and palace ruin (30minutes approx.). A UNESCO World Heritage Site, Sigiriya is famous for its ancient paintings. It was used as a rock-shelter mountain monastery from the 5th century BC. Devotees of the Buddhist Sangha created the ornate paintings on the cave walls. Before your climb, see Lion’s Gate, named after the two large carved lion’s paws on either side of the gate. At one time a gigantic lion sat at the end of the rock, and the ascent to the summit was from the lions paws and into its mouth. Unfortunately the lion has disappeared and only the paws and the first steps are visible. The fascinating climb to the top (1,200 steps) takes you through rock-hewn passages and small caves. When you are halfway to the top, you can see magnificent views of the water gardens below. The elaborately landscaped water gardens contain a complex underground water distribution system, which provides water to the Royal baths, the many small moated islands and fountains. Some fountains still work during the rainy season. Also see the Fresco Gallery containing beautiful paintings and the Mirror Wall that may have been used as a mirror in ancient times. Enjoy breathtaking views from the summit. Go back to theResort and then go on an elephant ride. Riding on top of the elephant through the jungle is a great experience. This one-hour ride through the wilderness will leave you inspired and energized. After breakfast, drive to Anuradhapura (1.5 hours approx.) and check in to your hotel. Go on a city tour in the evening. Also called “The City of Ruins” and home of the “Tree of Enlightenment”, popularly known as “Sri Maha Bodhi”, Anuradhapura is not only one of the most sacred places for Buddhists. Anuradhapura was the first Sinhalese capital of Sri Lanka, and is still venerated by Buddhists who worship many of the fine Dagobas still remaining. One of the major attractions in the sacred Bo Tree, which many people believe is the oldest tree in the world. It is said that Buddha received his enlightenment under this very tree. There is an abundance of ancient architecture dating back to the 3rd Century BC and earlier. To wander around the magnificent ancient city ruins gives you an idea about how imposing and majestic this city would have been in its heyday. Dinner is served back at your hotel – Nuwarawewa Rest House. Along with modern facilities and well-kept rooms, the Rest House offers you a fine range of local dishes in a peaceful setting. 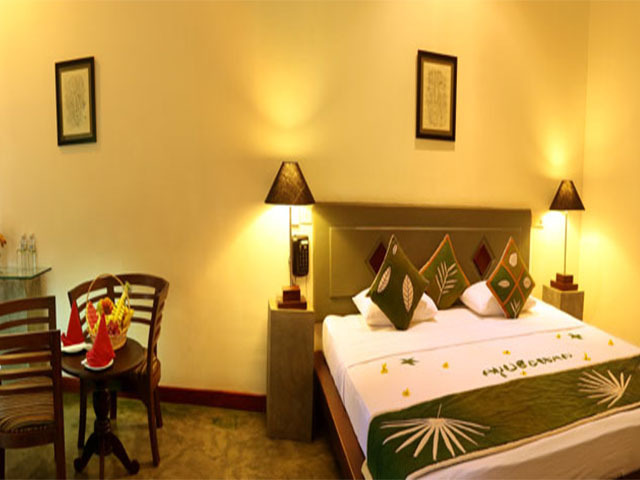 Travel to Wilpattu after breakfast and check in to your hotel (1.5 hours approx.). Go on a 4WD jeep safari into Wilpattu National Park in the evening. The Park is known for its many lakes and its leopard population. There are 31 species of mammals which are resident in the Park including elephants, leopards, water buffaloes, sloth bears, and spotted deer. Bird watchers will be excited to spot painted storks, open bills, little cormorants, Sri Lanka jungle fowls and wetland birds such as garganeys, pin tails, and purple herons. Head back to the Leopard Den for dinner. All rooms have an en suite bathroom with hot and cold water, and cable TV facilities. The in-house restaurant serves Sri Lankan, Western, and Chinese cuisines. After an exhilarating holiday in Sri Lanka, transfer to the airport for your flight home (4.5hours approx).